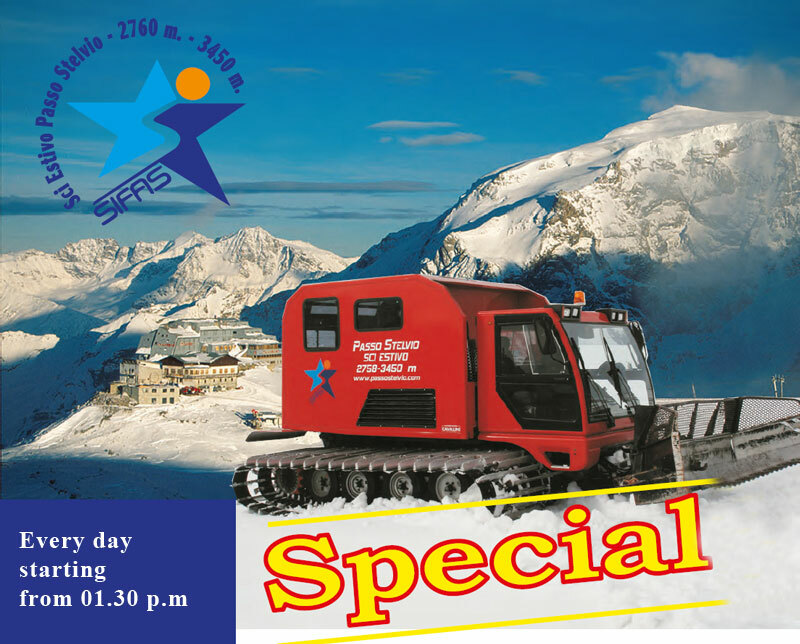 Snowmobile tours on the Stelvio glacier take place every afternoon starting from 01.30 pm with a minimum of 5 people. The starting point of the snowmobile tour, the Geister I ski lift, can be reached by going up from the Stelvio Pass on two cableways, the Stelvio-Trincerone cableway and the Trincerone-Livrio cableway; from there, the tour goes up the Glacier on a snowmobile along the Geister I and Geister II ski lifts up to the top of the Cristallo ski lift at the “Sasso Rotondo”. From there, you will be able to admire the enchanting landscape of the Zebù Valley, the Stelvio National Park and the peaks of the Ortles-Cevedale Mountain Group.